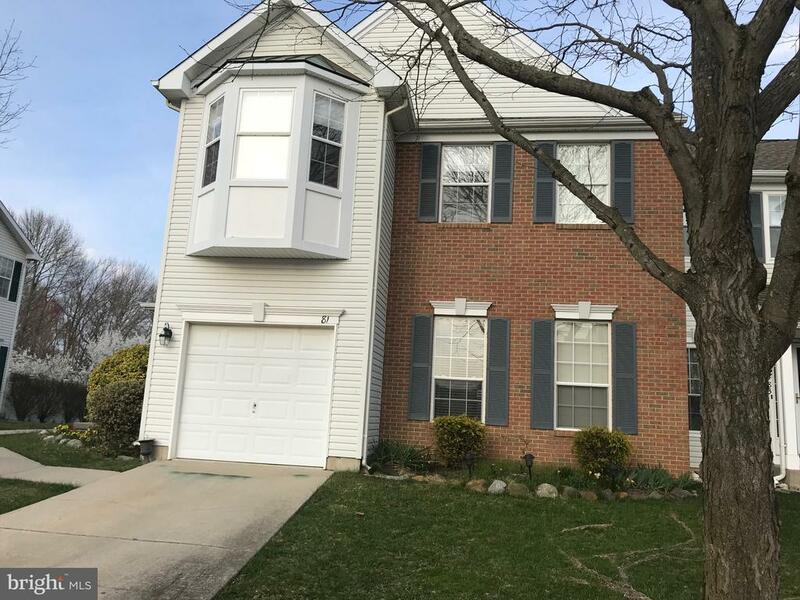 All Bordentown homes currently listed for sale in Bordentown as of 04/22/2019 are shown below. You can change the search criteria at any time by pressing the 'Change Search' button below. 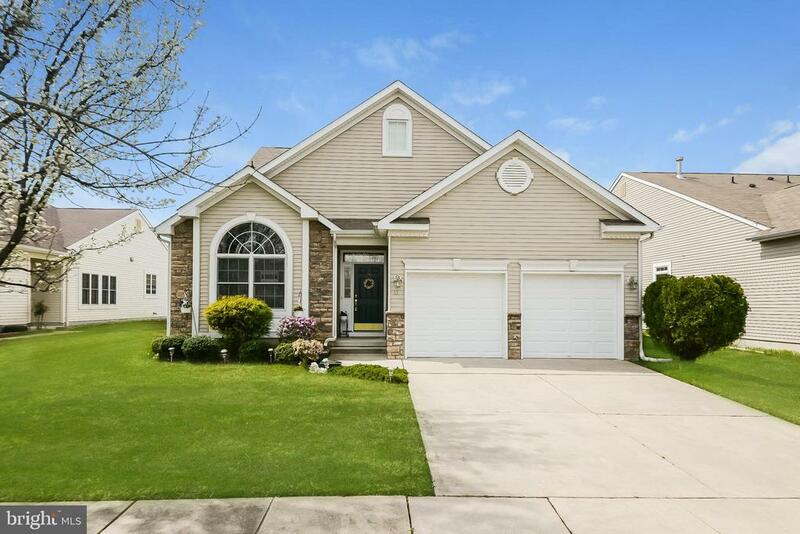 If you have any questions or you would like more information about any Bordentown homes for sale or other Bordentown real estate, please contact us and one of our knowledgeable Bordentown REALTORS® would be pleased to assist you. 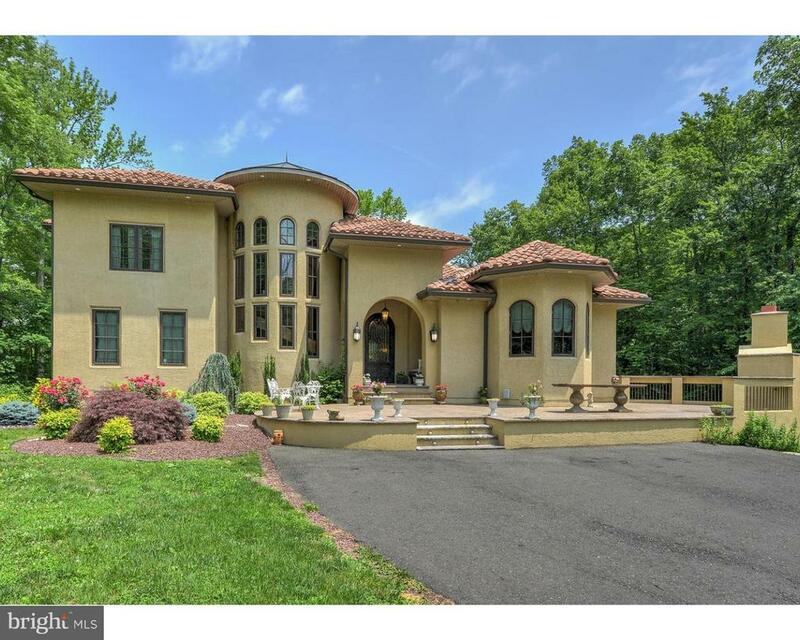 "Majestic country estate located in the Enchanted Forest of Springfield Township, Burlington County. This home was custom built with quality materials throughout from the ground to the finishing touches mirroring homes found throughout Portugal. Privacy, serenity, and beauty lies on this six-acre wooded lot with approximately 1 acre of developed land with private natural pond. The journey begins on the front patio sitting high above the land with a custom fireplace which converts to an oversized grill with multiple levels/rotisserie. Continue into the main house through the handmade front door which is a 9' by 2 1/2 thick insulated steel door with opening insert and Flemish glass. Depending on the usage of rooms, this home could be 3 to 5 Bedrooms with 4 full baths and one-half bath totaling approximately 3,698 sq/ft. The Master Suite is concealed by a hidden door which provides complete privacy and security. Beyond that, there are two walk-in closets for his and her along with a master bath featuring a steam shower with multiple-head faucets. All bathrooms have custom tile work from floor to ceiling with limestone windowsills. Featuring high ceilings throughout with custom-made, solid 8' doors, walls have rounded edges inspired by the old-world charm. The entire first floor has imported Spanish Porcelain Tile replicating an old wood finish. The kitchen has custom cabinetry with soft close drawers, Thermador appliances, and farm sink. The great room is the main entertaining space including a dining room that can accommodate a table for at least 12 to 14 people. The lower level is a walk-out unfinished basement with a two-car garage and mechanical room totaling approximately 2,000 sq/ft which could be completed to add additional living space. Casement windows and doors are top-of-the-line Jeldwen Products that were specially ordered and designed for the home. The main rear-patio was built with a custom 16 x 8 Swim Spa/Jacuzzi inset which can be reached from both"
"Get ready to fall in love with this stunning, custom built home nestled on over 3.5 acres of private, undeveloped grounds in Springfield Township. Your journey begins with the long tree lined driveway in-between two natural ponds. As you approach the home situated high up on the grounds, you will be mesmerized by the custom architecture and elegant brick entrance. Upon entering the home, the two-story foyer warmly invites you in with beautiful Brazilian Cherry Wood floors. The oversized foyer has two closets (one cedar walk-in) and provides entrance to the formal dining room on the left. Heading to the right, you will enter the formal living room and instantly be swept away by the soaring 18ft ceilings, wood burning fireplace and solid wood spiral staircase that leads to a picturesque balcony complete with built-in bookshelves and reading space. Moving into the family room, you will be captivated by the endless view of the backyard through the open space living room and kitchen area. Feel free to snuggle up in the sizable window seat next to the home's second fireplace and gaze across the peaceful, tranquil grounds. Continuing through the home you will enter the newly renovated gourmet kitchen with granite countertops, extra-large pantry and custom cabinetry. Entertaining guests will be so easy in this kitchen that also leads right into a huge game room! Enjoy beautiful outdoor views as you gather with friends for games and fun. A hidden gem in this part of the house is tucked away in a room with cedar walls and a beautiful oversized hot tub. 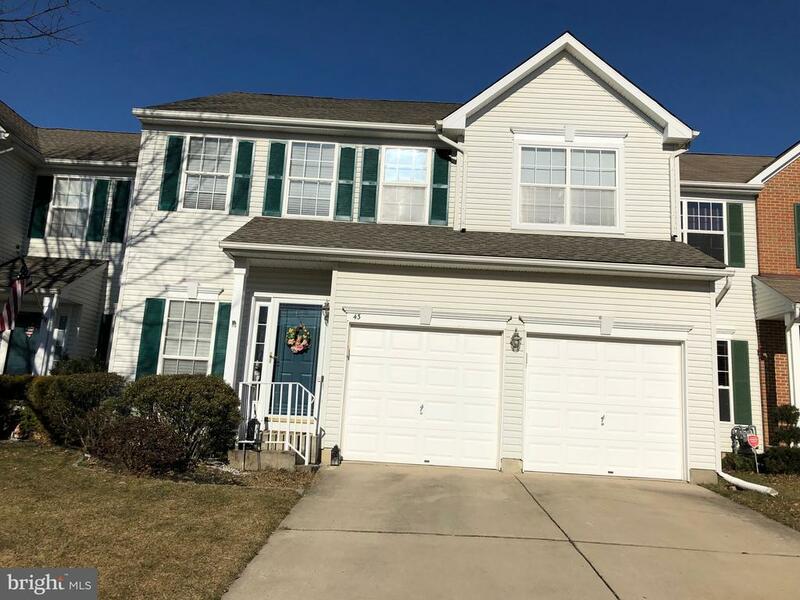 On the second level of the home you will find an upgraded large hall bath, 3 spacious bedrooms and the master suite that has a sitting/changing area, huge walk-in closet and upgraded master bath. Finishing off the home, don't forget to include the partially finished full basement with tons of space for storage. There is even more outside...to enjoy all this property has to offer, relax outside on a two-story dec"
"STUNNING former Builder's Model with over 165K in upgrades! This beautiful home faces North and sits on a .46acre lot with nice landscaping,stone wainscoting, a sprinkler system, a shed and a side entry 2 car garage that is fully insulated and painted. Entering the home is the foyer with soaring ceilings, crown molding, hardwood floors and staircase with metal spindles. There is a good sized office on the first floor that can be used as a bedroom if needed(no closet). Spacious living and dining room with a tray ceiling. Hardwood floors in the living room, dining room & family room. The gourmet Kitchen features granite countertops, stainless steel appliances including a double oven, upgraded maple cabinets, under cabinet lighting, tile backsplash, center island with stools and hanging lights,tile floor and high hat lighting. Gorgeous family room with 2 story ceiling, back staircase with metal spindles, gas fireplace with mantle and large framed mirror above. Laundry room and half bath on the first floor. Upstairs you will enter double doors to the massive master bedroom with sitting room, and walk-in closet. Master bathroom is highly upgraded featuring a soaking tub, huge shower and double sinks. Three other nice-sized bedrooms and a hallway bath with separate toilet room complete the second floor. The daylight basement is under the entire house and the walls are fully insulated for future finishing. Other features include a security system, front porch & (2)bike paths, one across the street and another one in the development that will go right to Bordentown High School when completed. 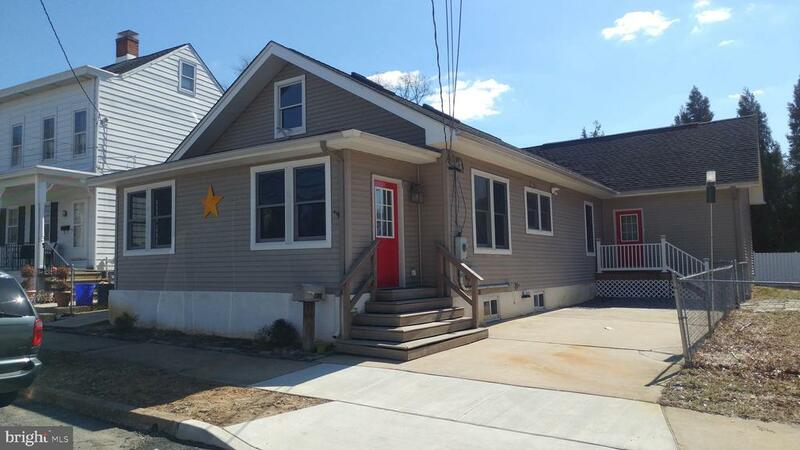 Easy access to the NJ Turnpike,Route 295, Hamilton Train Station, Route 130 and Route 206. Less than 5 minutes to schools and a great fitness and wellness center across from the community on Rt 130S." 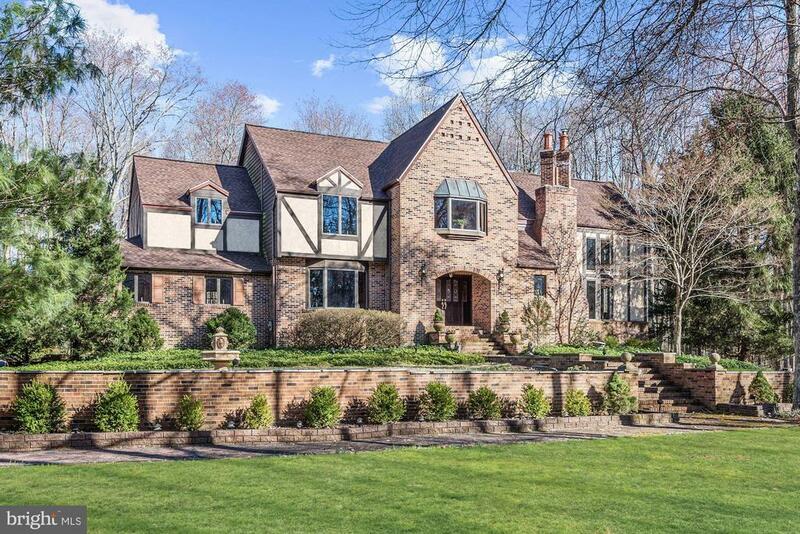 "On a cul-de-sac in the always desirable Preserve at Meadow Run, this Northeast handsome executive Colonial brims with sunshine and space - impressing with 4 beautifully finished levels and the neighborhood's largest footprint. Hardwoods and high ceilings elegantly frame the 1st floor, whose centerpiece is a vaulted Great Room with a gas fireplace and the sweeping kitchen, updated with a new suite of stainless appliances and ceramic tile. The vaulted breakfast room opens transomed glass sliders to the 3 years' young deck, overlooking the tranquil yard. Formal living and dining rooms, and a spacious office access a half bath. A walk-out finished basement with a full bath and a finished top floor offer more than ample room for storage and play. 4 bedrooms and 2 full baths include the incredible master suite, which boasts 3 walk-in closets and a sitting room. Commuters will be so pleased with the under 15 minute trip to the Hamilton train station; access to the corridors of I95 and the Turnpike are even closer. 2-car garage." "Wow! 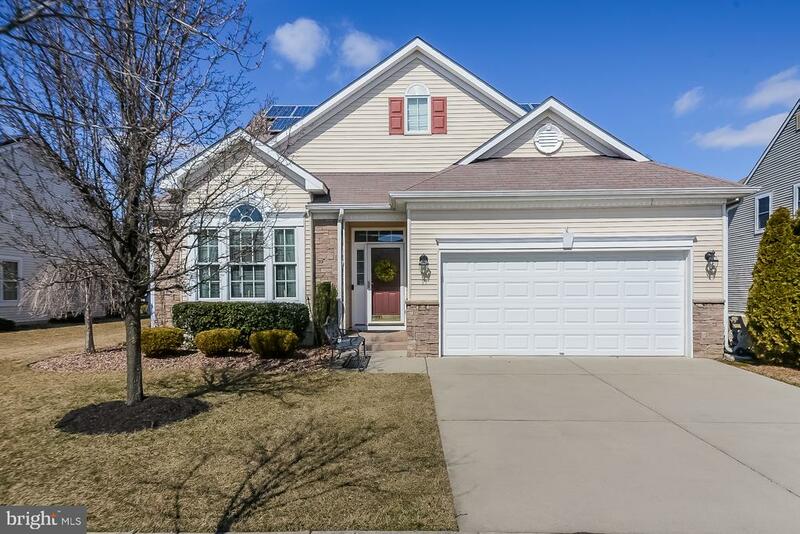 WATERFRONT brick front colonial sitting very high and dry meticulously maintained and upgraded throughout to include freshly painted walls, upgraded flooring, and finished Walk-Out basement with sliding glass door to patio and deep back yard. Inside you'll find very bright open and airy floor plan with 2 story living room complete with plenty of natural light into formal dining room; great for large group holiday celebrations. Spotless upgraded oak kitchen with center island complete with dark granite counter tops, stainless appliance package and sliding glass door leading to 2nd floor large custom built deck. Adjacent highly desired 2 story great room with fireplace; great for interactions and entertainment while cooking and relaxing everyday. Front and back staircases lead to 2nd floor with Juliet balcony looking onto great room below. Spacious master bedroom suite complete with vaulted ceilings and upgraded vanity/sink, soaking tub, and shower stall bathroom. Three additional bedroom on second floor and add. bedroom in basement.Finished WALK OUT basement complete with bathroom, bedroom and additional storage; nice for live in guests. Very nice home nothing to do but move in. Roof, Siding Gutters 2015, HVAC 2017. Turn-key!" 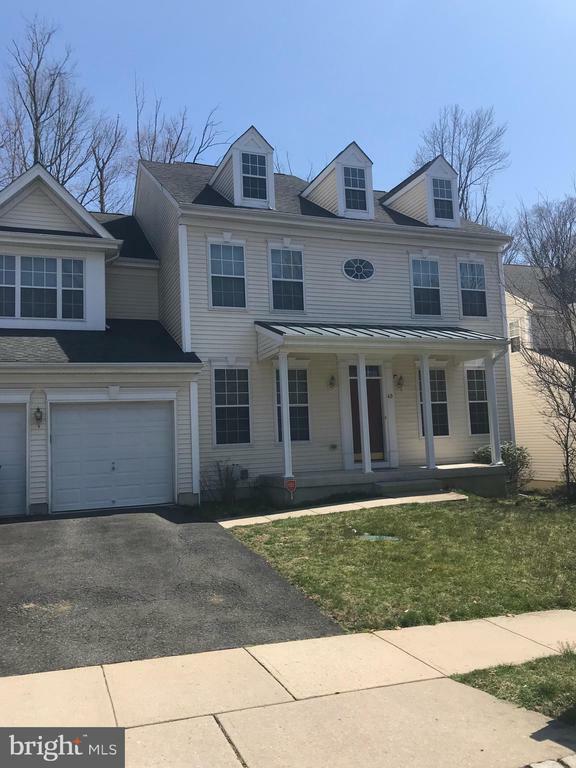 "Large 6 bedroom Colonial style home,3 full baths, 1 half bath, Hardwood floors, 2 large Walk in Closets in the Master Bedroom, Family Room and eat in kitchen with granite counter tops." 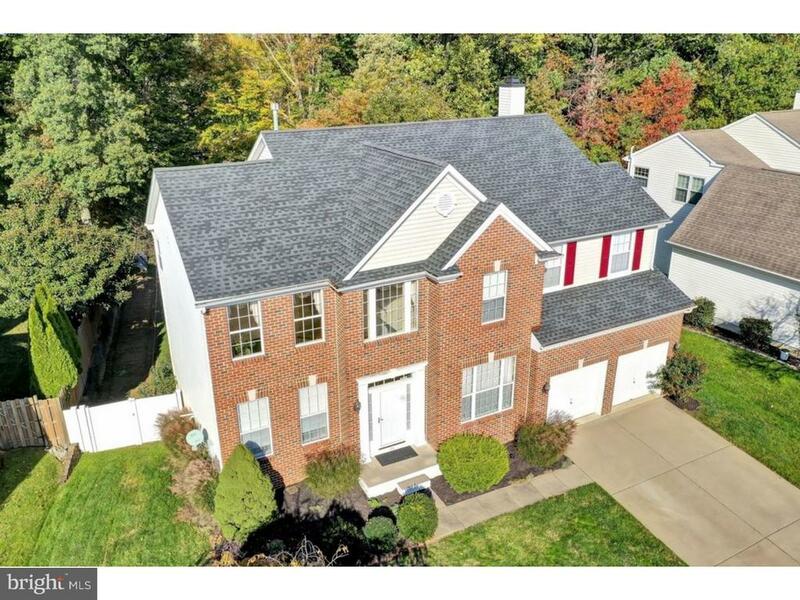 "Pristine and Elegant home in sought after Ryan built community of Clifton Mill! Meticulously maintained by current owners, this classic Yorkshire model colonial (3147+ sqft) offers many desirable features and upgrades. Two story foyer with custom decorative front entrance door and exposed wood staircase. Gorgeous Brazilian nut 5~ wood plank flooring throughout, 9 foot ceilings on the first floor, and decorative moldings in every room all add elegance. Large living room & formal dining room. The well designed gourmet kitchen features a center island, upgraded 42 cabinets, top of the line appliances, recessed lighting and double bowl porcelain sink. The vaulted Morning room addition is surrounded by windows with French doors that lead to the serene and inviting fence in backyard. Boasting an above ground pool, deck (18 X 12) and separate stamped patio area. Spacious sun drenched family room with recessed lighting and ceiling fan. Main floor laundry with sink and extra storage area. Oversized master bedroom with tray ceiling, dual walk-in closets, full attached bathroom including Jacuzzi whirlpool tub, separate shower, separate toilet area, dual sinks and ceramic tile floor. 3 additional generous size bedrooms all with decorative moldings, ceiling fans and dual door closets. Hallway Bathroom has dual sinks and tub/shower combination. Not to be missed is the beautifully finished basement with new carpet, half bath, lots of space for recreation, exercise, and entertaining. Plus storage and workshop with outside entrance. All front windows have been replaced. Custom window treatments throughout. 2 Car garage with storage loft (17 X 12) and rear door to the back yard. The Clifton Mill community features pool and tennis courts. Included 1 Year AHS Home Warranty. All this within minutes to schools, shopping, and major roads Rt. 130, 206, 195, 295, NJ & PA Turnpikes, NJ Light rail and Hamilton Train Station." "Lovely Brick Front Audubon Model Colonial on Premium wooded lot & finished walkout basement - Desirable Mallard Creek Development - Gorgeous hardwood floors throughout 1st floor - Stunning 2 story foyer - 2 Story living room - Formal dining room - Study - Expanded 2 story family room w/ceiling fan, recessed lights &gas fireplace - Upgraded fireplace with decorative mantel - Beautiful upgraded kitchen w/granite counter tops, island, 42~ cabinets & Stainless steel appliances package - Expanded breakfast room w/sliding doors to maintenance free deck - Powder room w/ceramic tile ~ Vaulted master suite w/full bath & hardwood floors - Master bath w/granite counters, ceramic floors, stall shower & whirlpool tub - Large walk in closet w/hardwood floors - 3 Additional generous size bedrooms ~ Over 2,440 sq ft of living space NOT including the lower level - Full finished walkout basement w/den, library/bedroom, full bath & plenty of storage ~ 2 Car garage w/openers - No association fees - Minutes from light rail, major highways and shopping." 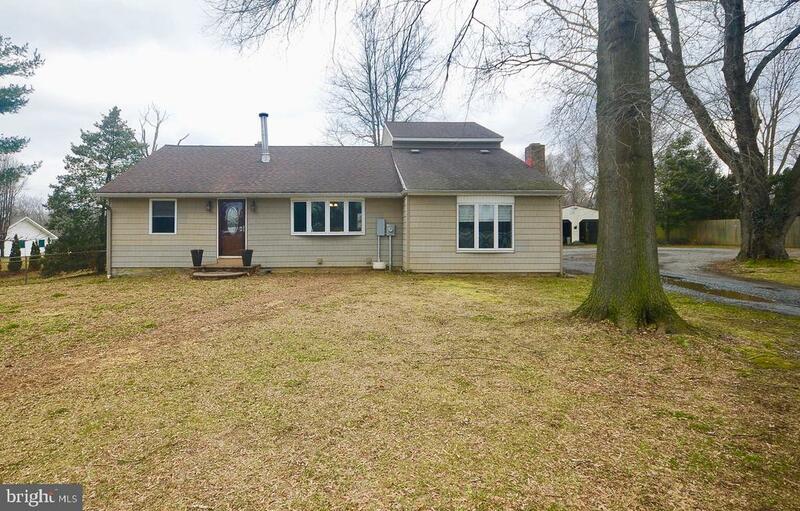 "3,600 square feet in the heart of Bordentown on almost an acre lot. Central Air Conditioning, first floor bedroom. All the charm of yesterday with modern conveniences. Front porch, large rear deck and yard. Central island kitchen with formal dining room and sunroom or breakfast room connected to the kitchen. Second floor features large master bedroom with dressing area and walk in closet with separate sitting room or could be a nursery with separate access. In addition to 3 full bedrooms on the second floor there is a den/office. Walk up finished attic with plenty of storage." "Oversized and ready for your designer touches. Located in the ever desirable meadow Run executive Subdivision, this brick front mini-estate is loaded with all of the creature comforts. 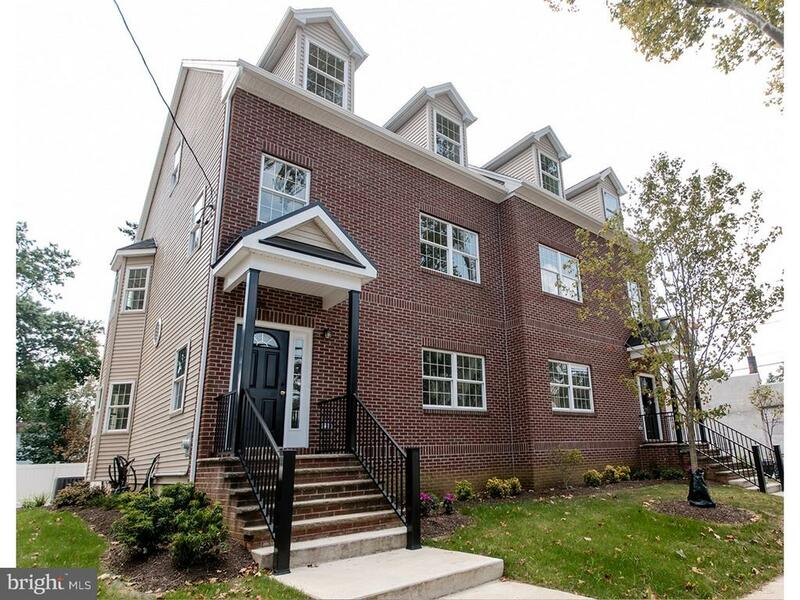 4 finished floors of living space heated and cooled with a Hi-eficiancy 3 zone system located on a premium lot just 5 minutes from NJTP and I-295. House is being sold as-Is, where-Is, with no warranties expressed or implied. Purchaser responsible for any and all inspections and certifications needed for settlement. Seller makes no representations of age, condition or functionality of systems. This property has been placed in an upcoming online marketing event. Purchaser or purchaser's agent must register for this event." 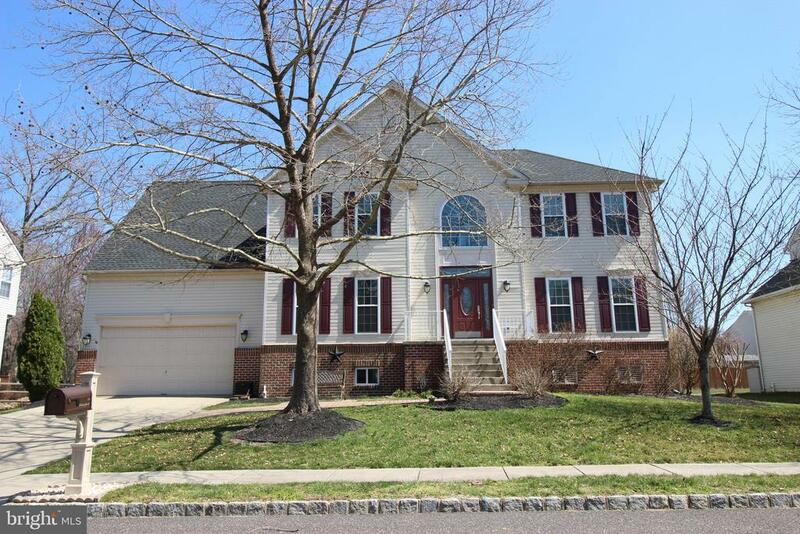 "This attractive 4 bedroom, 2 1/2 bath colonial home is located in the desirable Brookside Estates development. The home has over 2300 square feet of living space and features an over sized walk-out basement just waiting to be finished! 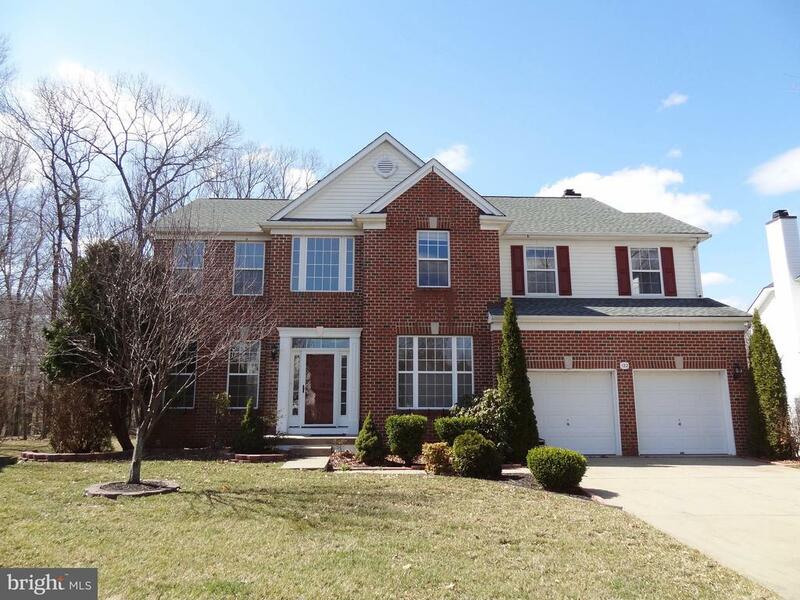 The spacious, two story, tiled entry foyer opens up to a formal living room and dining room. The lovely kitchen features 42, cherry wood cabinets, granite counter tops, pantry space and a gorgeous 20 x 9, skylight breakfast room which overlooks the wooded rear yard! The relaxing family room offers hardwood floors and a wood burning fireplace. On the second level you'll find 4 well sized bedrooms and 2 full baths. The relaxing, master bedroom suite features 2 walk-in closets, full bath with garden tub, separate shower and a double vanity! Finally, the home has an attached 2 car garage with auto garage door opener for your convenience and storage needs. Other features include recessed lighting; ceiling fans in all bedrooms, breakfast room and family room; large walkout basement with plumbing rough for full bath; and private rear yard with wooded view. The home has been lovingly cared for by the original owners and they are hopeful to find a buyer who will enjoy it as much as they have! Call today for your personal tour of this great home!" "Traditional design meets modern convenience in this versatile Southwind model 2400 sq. ft of spacious elegance. Everything you could hope for and more! It begins with curb appeal. Professionally landscaped wider lot with stone accents and elegant stone front facade. Inside the Inviting living room/great room boasts a cathedral ceiling, palladium window, wood tone laminate flooring, decorative moldings and professional painting thru out. At the heart of the home the open-concept flow of the kitchen to dining room is an entertainer's delight. The eat-in chef's kitchen features 42 cabinets, tile flooring & backsplash, silestone counters, double sink, self cleaning oven, built in micro & dishwasher. The Dining room with fireplace & vaulted ceiling offers convenient access to the rear JP Henry paver patio complete with sitting wall with lights and retractable awning. Master bedroom with vaulted ceiling/ walk-in closet, full bath complete with garden tub, stall shower, raised vanity & double sinks. 2nd bedroom, full hall bath & laundry area complete the main level.Spacious loft is perfect for a game room, 2nd family room or home office, sizable 3rd bedroom and 3rd full bath complete the 2nd floor. All this and a 2 car garage complete with garage door openers, Newer water heater, 2 zone heat/central air, sprinkler system, security system, ceiling fans, an abundance of storage/closets PLUS Owned Solar Panels which drastically slash electric bills and earn SREC's (Solar Renewable Energy Certificates) which are transferable to a new owner and generate yearly income. $155 Monthly association fee includes lawn maintenance, snow removal, access to clubhouse amenities: library/computer room, billiard/card room, gym, heated pool & spa, tennis court & bocce court." "This beautiful Eaton model is one of only a handful of this model in the development. Features a dramatic two story living room with hardwood flooring. Plenty of windows highlight this rare model. The walk out basement has a beautiful finished area, complete with hardwood and carpet. The master bedroom will thrill you with a sitting area and an en suite bath along with a wonderful walk-in closet. This house has been kept to perfection and all you have to do is unpack your bags and move right in. Nothing needs done here. All this and a two car garage, who could ask for anything more." "ATTENTION ALL INVESTORS!! 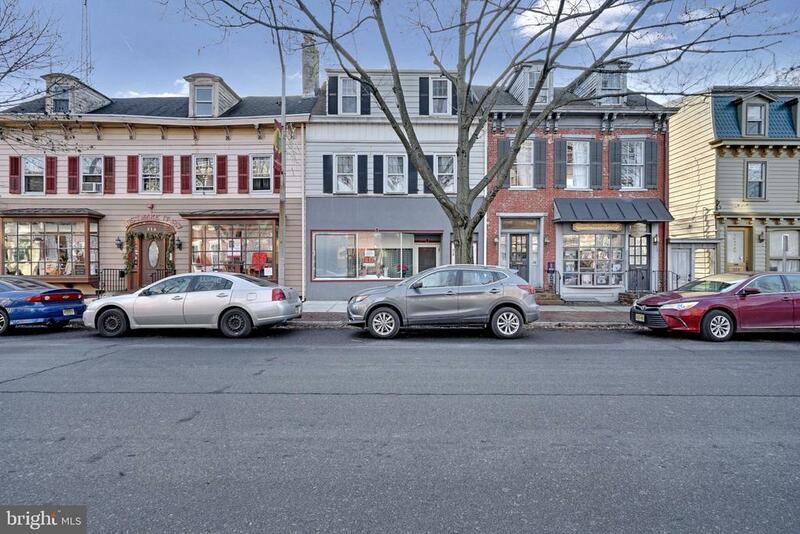 Mixed use building in the heart of the business district of Bordentown City. Store front was occupied as a bakery w/glass showcase, huge back rm & walk in freezer, full workshop basement & more! This space lends itself to a multitudes of retail & service businesses. 3 story home above is owner occupied & offers 4 BRs, 2 full baths & originality throughout. A must see!" "Country home on 2.5 acres and cleared ground for the farming enthusiast. Detached garage and barn and a fenced rear yard, including invisible fence for pet control are additional features. This Rancger had a 2 story addition completed in 2010, offering a hugh country kitchen just waiting for your touches and an upstairs master bedroom and master bath. This 4 bedroom, 3 full bath home offers a step down living room with fireplace and a dining room with a wood stove to enhance the country feeling. All windows, siding and exterior entry doors were replaced at time of addition and roof replaced 13 years ago. New well was installed in 2017 and documents uploaded. Electrical service upgraded to 200 amp in 2010 with permits. Septic was installed at time of addition and new sump pump installed 2 years ago into sump pit. This home could use some kitchen upgrades, but home is sure to please every step of the way. Such a great home and property worth seeing today." "Welcome to Greenbriar Horizon! Not just a home A Lifestyle! Move right in and enjoy a carefree lifestyle that begins with this stunning home. Neutral tones, glistening hardwood floors, new 2nd floor carpeting + storage & closets galore! Spacious Living room & Dining room with palladium window offers plenty of natural light. Chefs delight Gourmet kitchen 42 upgraded cabinets with pull out draws, tile flooring, silestone counters, double stainless steel sink, tiled backsplash, self cleaning convection double wall over, cook top, refrigerator, built in micro & dishwasher. 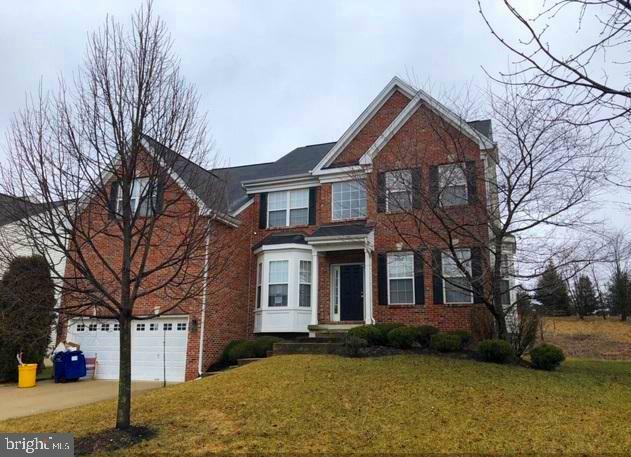 Family room with valuted ceiling adjacent to kitchen offers access to rear paver patio.Master suite features a huge walk-in closet, full bath with dual sinks, stall shower , soaking tub & linen closet. 2nd bedroom , hall full bath & laundry area complete the main level. Upstairs is a spacious Loft area perfect for a home office, media room or den + a sizable 3rd bedroom and 3rd full bath. Newer water heater, 2 zone heat/central air, underground lawn sprinkler system, Tilt in Anderson windows & doors ,2 car garage with auto remote openers. Walking distance to community clubhouse with library/computer room, billiard/card room, gym, heated pool & spa, tennis court & bocce court. Low $155 monthly fee includes lawn maintenance, snow removal & access to the many clubhouse amenities." 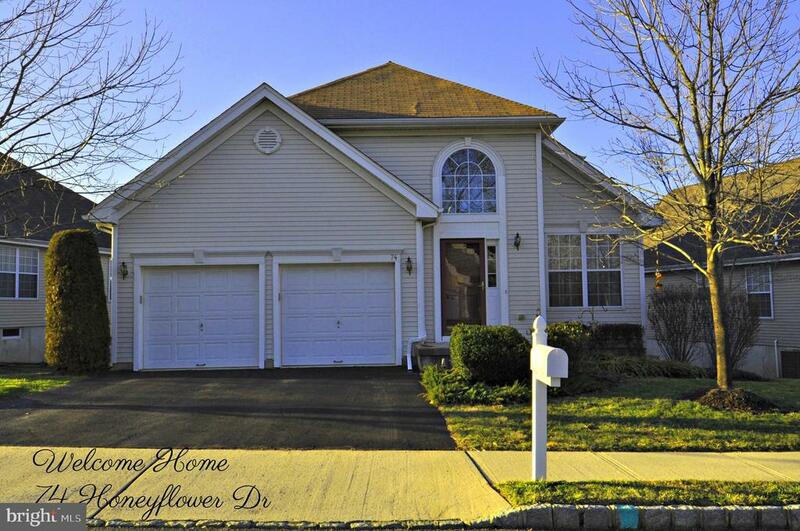 "Welcome to this Camellia Grande model in the popular 55+ community of Village Grande located in Bordentown Township. This home boasts 3 bedrooms, 3 full bathrooms, living room, dining room, family room, kitchen, sunroom, loft, laundry room and 2 car garage. Other amenities include: full unfinished walkout basement, Redwood deck with retractable awning, hardwood flooring in living room and dining room, kitchen open to the sunroom and family room, upstairs loft overlooking living room and dining room with 3rd bedroom and bathroom. This community offers an active lifestyle with a Club House, Tennis Court and Pool. Close to major roadways, shopping and dining. Make your appointment today!" 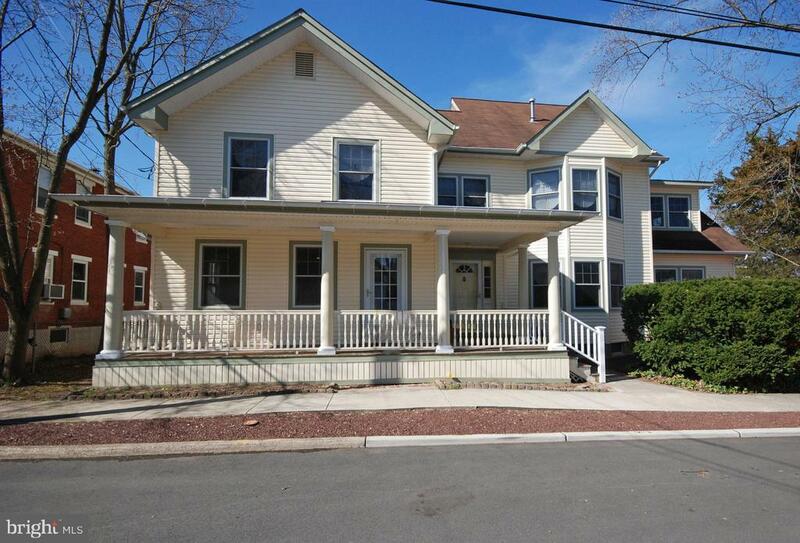 "Welcome to your brand new home in the historic town of Bordentown City! Located on a quiet street within walking distance to great restaurants and shops. This beautiful town home has granite countertops, hardwood floors, first floor 9' ceilings and stainless steel appliances. Offering a master bedroom with master bath and walk in closet. There are two other bedrooms and a large third floor room that could be used as a 4th bedroom or recreation room. The full basement with laundry hookups has high ceilings that could be finished off for extra entertaining space. Offering 2 car off street parking and professional landscaping. 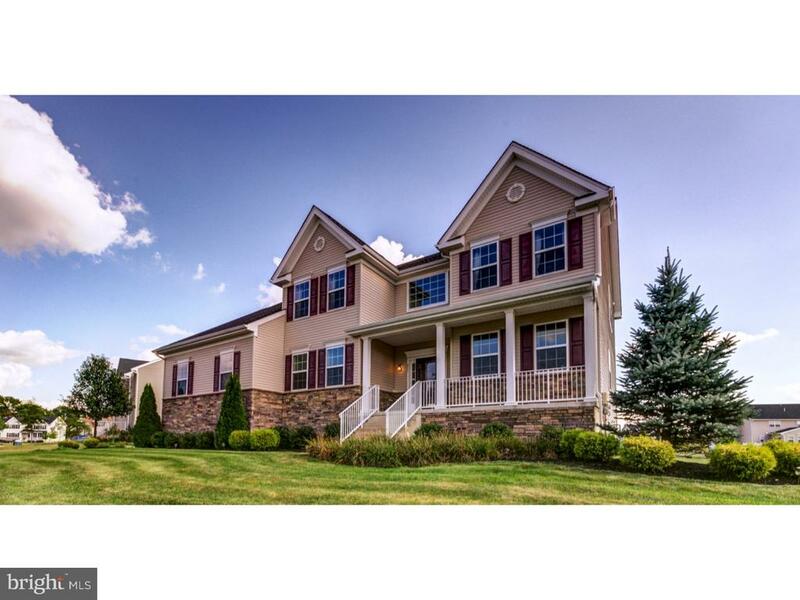 It is a rare find to have a new home in beautiful Bordentown City of this size and quality! Come take a look today!" "Spacious end unit in desirable Clifton Mill backing to open common space. Situated on a fenced private lot this home features hardwood floors throughout most of the home, newer hardwood in dining room & upstairs and on staircase. Enter into a dramatic two story foyer. There's a Large formal living room w/carpet (please no shoes in this room). In the Kitchen there's 42cabinets, hardwood flooring, recessed lights, built in microwave, breakfast area and sliding doors to custom paver patio in your private yard. Off the kitchen is a 2 Story family room w/floor to ceiling windows, gas fireplace & ceiling fan. The Master bedroom has a walk-in closet, ceiling fan & sitting area, plus Master bath features whirlpool tub & shower stall. There's a 2nd floor laundry. The Generous sized 2nd and 3rd bedrooms are on the 2nd floor as well. All this and a finished basement w/entertainment area & plenty of storage. 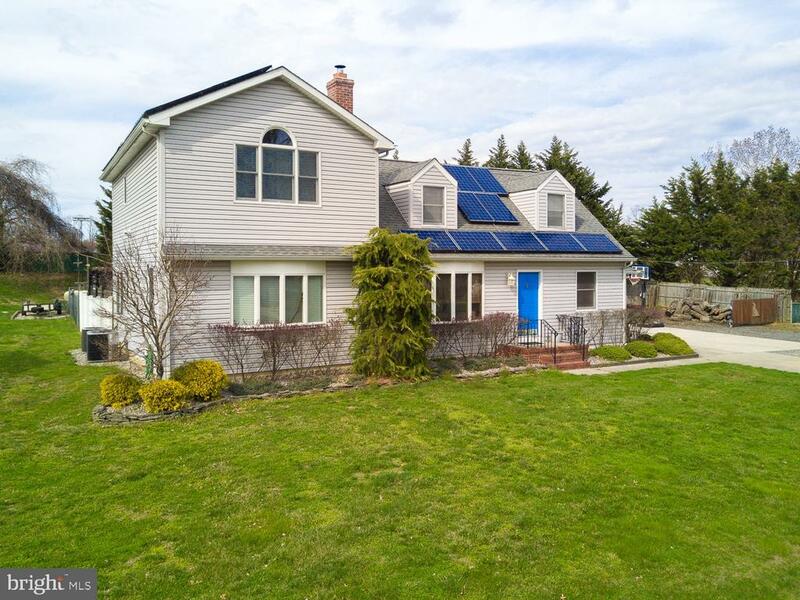 New Roof installed on 4/17/2019"
"Situated on over an acre of land, this 4 BR 2 Bath Ranch is waiting for you! Enter to find gleaming HW floors, crown molding, track lighting & more! Spacious LR streams natural light through its lovely bay window. French doors give way to the DR where you can entertain dinner guests & enjoy savory meals. EIK offers newer appl. & a plethora of cabinetry. FR w/features you will love, beautiful skylight, built-in shelving, WB stove & gas FP. Master BR is sure to please w/WIC & ensuite bath. 3 more BRs, a dazzling full bath, & laundry rm complete the home. Fenced in yard w/refinished deck & 4 seasons gazebo, making entertaining outdoors all yr round effortless. Other features, whole house filtration system, water softener system, new siding, tree-lined drive for privacy, garage & sheds for storage, & security system (cameras, motion detectors, lights & alarm). Great location, close to major highways, parks, shopping, restaurants & schools. This one won't last!" 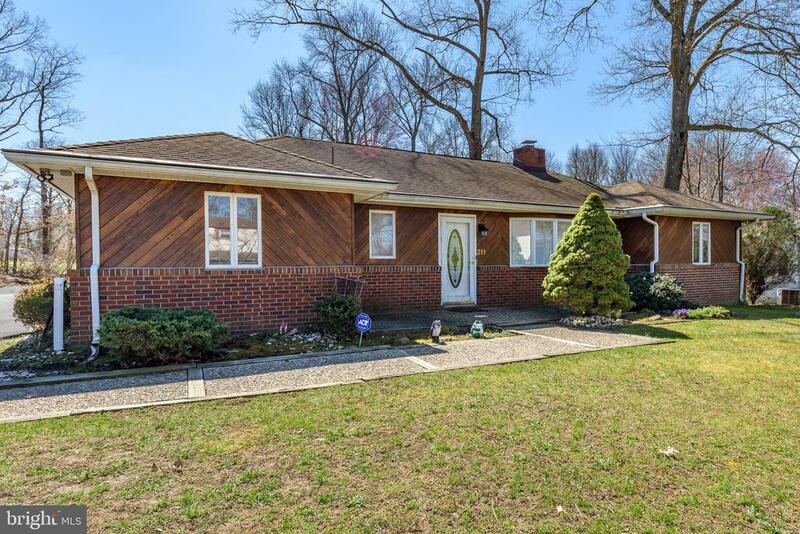 "Welcome home to this expanded Cape situated on over a 1/4 acre in the highly desirable Sylvan Glen neighborhood in Bordentown. Offering over 2,500 sq. ft. enter in through the inviting and bright living room complete with brick fireplace with a high efficiency wood burning stove insert which will warm up this space and more. Down from the living room you'll find the kitchen with custom built cabinetry, stainless steel Viking cook top, Thermador hood, granite countertops, ceramic tile backsplash and large pantry. Breakfast room just off of the kitchen with wainscoting, chair rail, custom built wall unit and many windows flooding the room with natural light. Massive open concept living and dining room addition with exquisite hand crafted built-in cherry wood hutch and an added nook perfect for office or study area with a mahogany desk. Main floor bedroom, currently being used as music room and located full bath complete the first level. Dual staircases take you up to the second level where you will find a massive master bedroom w/vaulted ceilings, built-in armiore, huge walk-in closet and conveniently located laundry room. The master suite full bath has tile shower/tub combination. Two more spacious bedrooms and half bath complete the second level. Hardwood floors adorn the main level and also are underneath carpets upstairs. Venture through the sliders out to the back you will find large fenced in yard, composite deck, stamped concrete patio, hot tub, outdoor shower, outdoor kitchen area w/ sink and a water fountain a great area for summer BBQ's or just relaxing after a long day. This home also offers two car detached garage w/50 amp electrical service, two zone high efficiency HVAC and hot water heater, unfinished basement w/9 ft. ceilings ready to be finished off, two separate 200 and 150 amp services and pecs plumbing and over 45 solar panels which keep energy costs to a minimum. Minutes away fro 195, 295, NJ & PA TPKS, MDL Joint Base and NJ Light Ra"
"Nestle on the beloved Tree streets of Bordentown, this full brick Colonial/Split level home offers endless potential with charm and character throughout. Formerly, the Builder's residence, an oversized driveway welcomes you to a cozy foyer that opens to interiors that inspire and offer abundant light and tremendous flexibility. Living room features unique open and vaulted ceilings, a picture bay window and full brick fireplace adds sparkle to winter nights. Hardwood floors throughout, the living room floor is currently protected by carpet. Spacious dining room and kitchen round out the main level. Three generously sized bedrooms are found just a few steps up. Master bedroom is complete with two closets and a full bath with a stall shower. Two bedrooms share a hall bath. Lower level family room is filled with windows, half bath, entrance to backyard and leads to an oversized two car garage. Hosting fun year round, the finished basement includes a handsome wood burning fireplace, wet bar and plenty of room for storage. Enjoy this premium corner lot on a paver patio and property is lined with beautiful mature trees; this home could be your ideal sanctuary. Windows have been replaced, brand new hot water heater and garage doors. 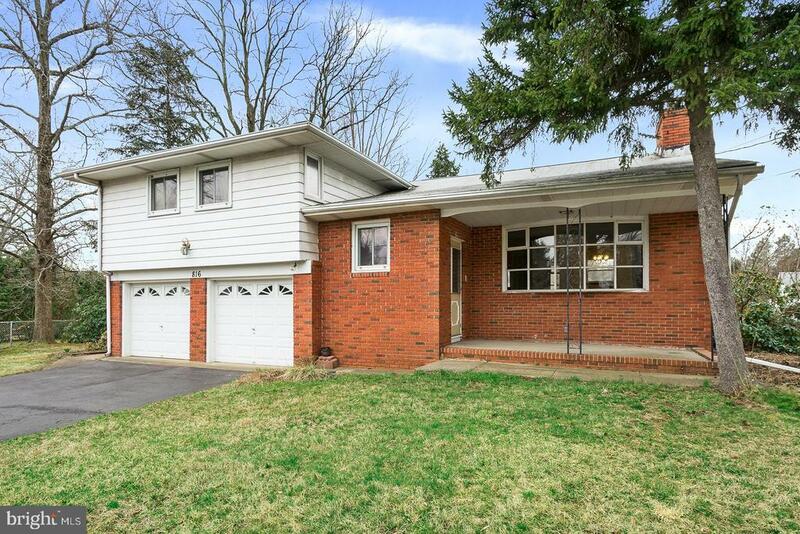 Conveniently located to all major roadways; this home is easy to love." "Beautifully updated five bedroom two and a half bathroom expanded ranch with finished second level offering large Great room, skylights, powder room and storage. New carpet. Freshly painted. Crown molding. Newer appliances in updated kitchen. Tray ceiling in Dining room. Master bedroom suite with bathroom and two walk-in closets. Central AC. Lots of closet space. Full unfinished basement. Fenced yard. Off street parking. Close to charming downtown of a small city rich in history, yet offers modern conveniences, shopping and fine dining. Convenient located near major highways. Easy commute to Trenton and Philadelphia."